One of my favourite moments from Star Wars isn’t even in the movies. It’s at the end of The Courtship of Princess Leia, the novel by Dave Wolverton, when Han Solo is being slowly tortured by the witch Gethzerion. As she snaps his bones, one by one, Han spies the running lights of the Millennium Falcon hurtling towards them over the desert, only metres off the ground. The Falcon fires its missiles, takes out the witches with pinpoint accuracy, and rescues Han. All of which is accomplished through unnaturally brilliant piloting. When Han climbs aboard, he discovers that Luke is both piloting the ship and firing the turrets through the use of the Force. The scene has stuck with me, even though I read the novel almost twenty years ago. It felt like pure Star Wars. It was two friends being reunited, it was the Millennium Falcon unleashing a salvo on the bad guys, and it was the chilling moment as Han realized the true extent of Luke’s power. It saddens me to think that this brilliant scene, the highlight of an otherwise messy narrative, is no longer part of the official Star Wars canon. The Courtship of Princess Leia, like so many other Star Wars novels and comics, has been brushed aside in favour of a new canon. When Disney announced on April 25, 2014 that they were abolishing the old Expanded Universe canon in preparation for the new films, part of my childhood died, even as my rational mind agreed with the decision. Many of the things in the EU had come to define Star Wars for me – Thrawn, Mara Jade, the Knights of the Old Republic, the New Jedi Order, the Jedi Academy, and the Rogue Squadron novels. These stories were Star Wars! Although they are still being reprinted, now under the “Legends” banner, it is inevitable that they would be replaced (perhaps usurped) by material from the new canon. But I also recognised that it made sense for Disney: they had just inherited an enormous franchise and didn’t want to be weighed down by its back catalogue of stories, especially a back catalogue that was full of contradictory material. But how is the new canon shaping up in comparison to the old EU, and what has survived the transition? However, it has to be acknowledged that Chuck Wendig is writing under difficult circumstances. His book is the first bridge between two trilogies, one of which hasn’t even hit cinemas yet. I imagine Disney/Lucasfilm’s list of taboo subjects must’ve been quite long. It explains why Wendig shies away from telling the further adventures of Luke, Han, and Leia, to focus on his own group of misfits. He is also under a lot of pressure from anxious fans such as myself to give as wide a view of the galaxy as possible, whilst still maintaining a character-driven plot. A difficult task. The authors of the early EU novels never had these restrictions. Although they certainly worked within a strict set of guidelines laid down by Lucas Licensing, they were free to forge their own narratives. The EU started out as a fairly consistent entity. 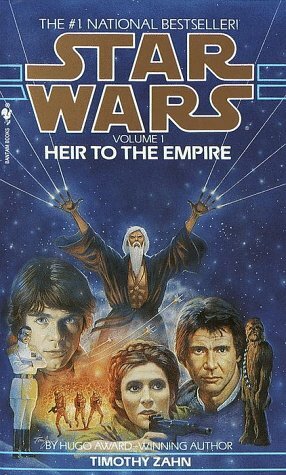 Timothy Zahn’s Heir to the Empire (1991) set a high standard for the novels, and Tom Veitch’s Dark Empire (1991) set a similar challenge for all future comics. 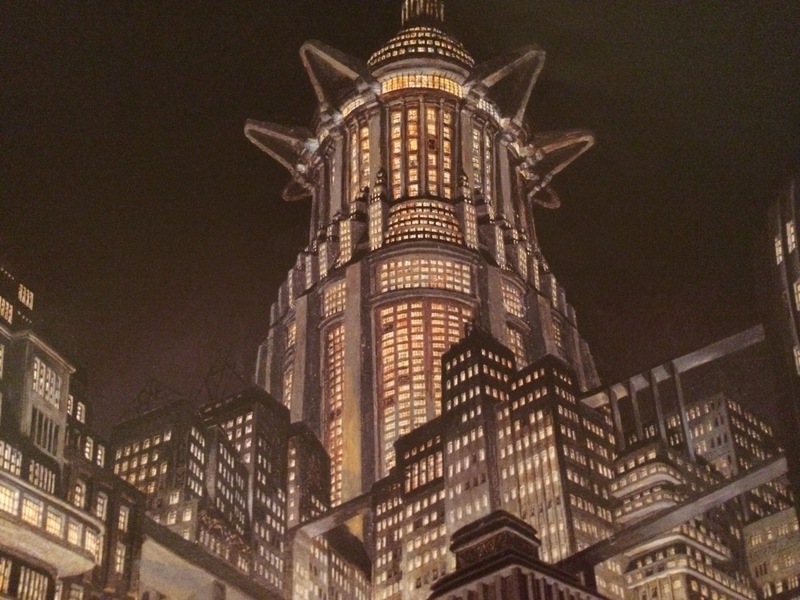 The publishing department at Lucas Licensing realized they had the opportunity to create a continuous storyline, one in which the events of each novel or comic influenced the others. The Expanded Universe was born. In the broadest terms, the stories followed Luke’s efforts to restart the Jedi Order, whilst the New Republic battled the remnants of the Empire and other foes. As the EU expanded across the post-Return of the Jedi universe, so did it expand across pre-A New Hope history. Authors avoided too much detail about the Clone Wars, knowing that George Lucas himself would cover these in the upcoming prequel trilogy, so they instead established a vast backstory in Tales of the Jedi, set thousands of years before the films. However, after two decades of additional material, the EU began to collapse under its own weight. Stories began to contradict each other. And as Lucas himself added three new films to the Star Wars canon, “established” backstories had to be rewritten. The entire EU became a case study in revisionist history. The Clone Wars is the best and most obvious example. Between the release of Attack of the Clones in 2002 and Revenge of the Sith in 2005, three years passed in both the real-world and the imagined world of the Star Wars universe. This gave Lucas Licensing the opportunity to allow the Clone Wars to play out in real-time, so that as new comics and books were published each month, fans could follow the twists and turns of the war as if it were actually unfolding live. It was a great concept, giving fans the chance to witness Anakin and Obi-Wan’s strengthening brotherhood, as well as being introduced to the gallery of villains who would come to dominate the war. It all culminated in James Luceno’s exceptional novel Labyrinth of Evil, leading right up to Revenge of the Sith and featuring a climactic lightsaber fight between Mace Windu and General Grievous on the roof of a speeding train. Lucas Licensing had done an amazing job, and the Clone Wars had achieved the mythic status that it deserved. But they were already in the process of writing over that material. Genndy Tartakovsky’s animated series Clone Wars debuted in 2003. Although its first few episodes were vague enough in detail to fit into the existing pattern of Clone Wars stories, it soon became clear that the series constituted a reboot of the conflict. The final couple of episodes, again leading up to Revenge of the Sith, borrowed a lot from the comics and books (including the fight scene aboard the train), but also substantially re-wrote the stories. 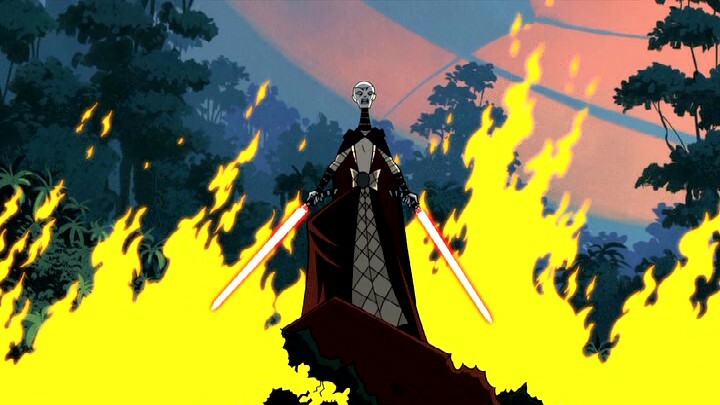 Asajj Ventress in Genndy Tartakovsky’s Clone Wars animated series. A second series, the CGI animated The Clone Wars, began in 2008, which again wrote over the same material. It instantly invalidated the comics and novels that had formed the original Clone Wars chronology. We were introduced to Ahsoka Tano, Anakin’s apprentice, who had been conspicuously absent in all previous incarnations of the Clone Wars. With the two tv shows, the history of the conflict had been written three times in just a few years. There was immediately debate about which version was to be considered canonical, with Lucas Licensing having already established a hierarchy of canon. Due to its popularity and accessibility, The Clone Wars CGI animated show was the version of the conflict that was deemed to be part of the official canon. It is also the only material, aside from the six existing films, that survived Disney’s reboot of the canon. With the EU choked with revisionist history, Disney’s reboot made a lot of sense. Their filmmakers wanted creative freedom to tell the future tales of Luke, Han, and Leia, without being beholden to the fact that the EU had already told their stories. Especially since the EU had already killed off Chewbacca (by dropping a moon on top of him, no less), resurrected and then killed Emperor Palpatine, married Luke Skywalker to Mara Jade, given Leia and Han three children (two of whom later died), and destroyed half the galaxy in the Yuuzhan Vong invasion. That would be just too much backstory for cinema audiences to take in. 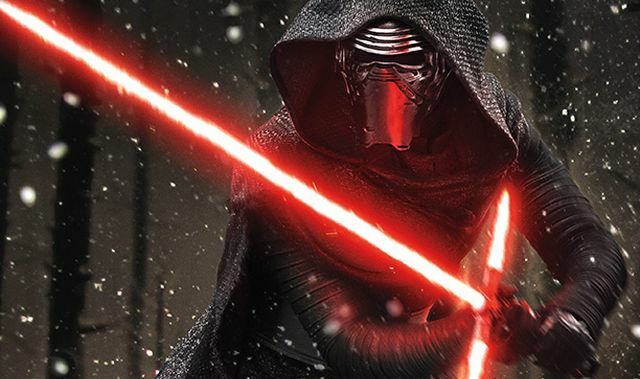 Of course, we all just want to know the backstory to Kylo Ren. Despite my lukewarm enjoyment of Aftermath, there were elements of the new canon that really appealed to me. The EU was first created with only the three films of the original trilogy as background. However, the new canon is able to draw on all six existing films for background material. Aftermath is our first glimpse of a post-Return of the Jedi universe shaped by all six Star Wars films. It gives a much richer depth to Wendig’s exposition. Discarded Trade Federation Battle Droids fill the junkyards of planet Akiva. A Separatist factory lies hidden underground. This is a world – an entire galaxy – that survived not just the Galactic Civil War of the original trilogy, but also the Clone Wars and Jedi Purge. It already feels like a more complex place than the galaxy that Timothy Zahn first imagined. It is also interesting to note the elements of the EU that have survived the transition into the new canon. Most of these survived solely through The Clone Wars tv show. Since the majority of the show was produced when the EU was still considered to be canonical, many elements of the EU snuck into its episodes, allowing them to be preserved despite Disney’s reboot. In this list, I can include the witches of Dathomir, the crime syndicate Black Sun, as well as several planets and cities that were first established in EU material. However, something else that appears to have been jettisoned by Disney is the EU map of the Star Wars galaxy. 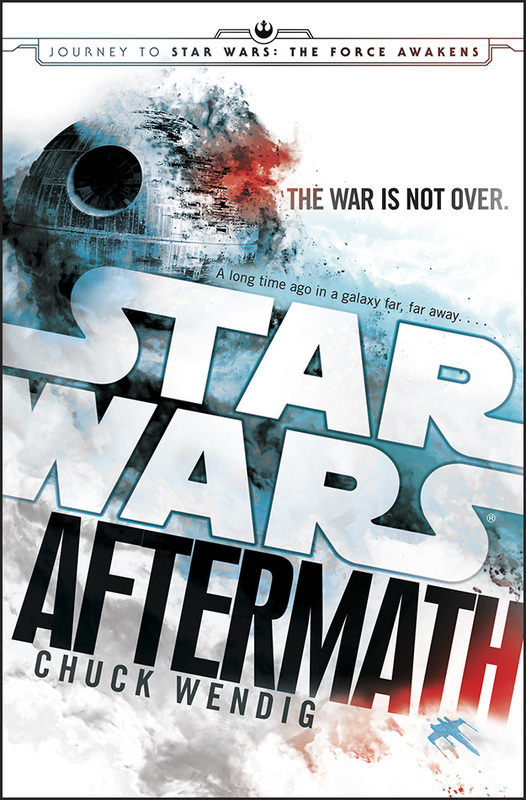 On page 102 of Aftermath, Admiral Ackbar contemplates a map of the five closest worlds to the planet Raydonia: Mustafar, Geonosis, Dermos, Akiva, and Tatooine. According to the old map, Geonosis and Tatooine are close (or close-ish) together. Mustafar, however, is a considerable distance away. So I can only conclude that either Chuck Wendig can’t read a map (unlikely), or the map itself has changed. 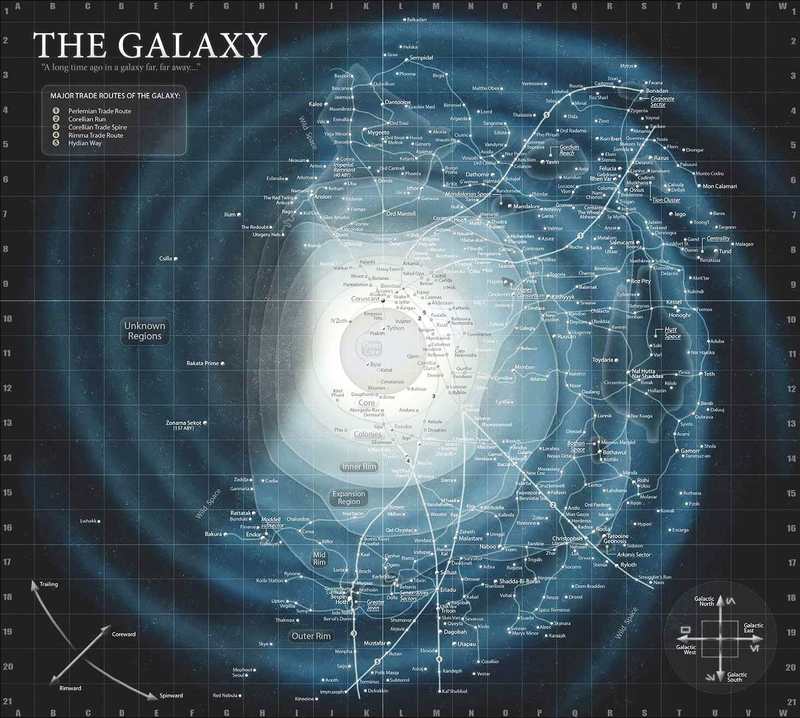 A map of the Star Wars galaxy, populated mainly with locations from the (now-defunct) EU. The shift to a new canon is a bittersweet thing. There’s so much in the EU that’s worth keeping, but also so much that deserves to be jettisoned. For every amazing novel, there were some real low points. Darksaber, anyone? The new canon represents an opportunity to eliminate contradicting stories and to create a consistent storyline that spans the Star Wars universe. It will also incorporate the next generation of Star Wars films, starting with The Force Awakens in just a few short weeks. So I welcome this new canon, whilst remembering fondly the best of the EU. I too was disappointed with Aftermath, but after a recommendation on Jedi Council on YouTube, I picked up a copy of Lost Stars by Claudia Gray. I loved it. It comes under YA fiction which may put many off, but it does a wonderful job of feeling like Star Wars. I think it’s a wonderful addition to the new canon and I’m looking forward to more Star Wars work from Gray. I also mourn Thrawn and Mara Jade. Sounds interesting – I’ll make sure I check it out! Thanks. Lost Stars is amazing. I too discovered it via Jedi Council. One of the best Star Wars books I’ve read in a while. Aftermath was horribly written, lacked organization, and the plot was s jumbled mess. I’ll definitely check out Lost Stars. Aftermath was disappointing, even with my already low expectations. I’ve always subscribed to the “many worlds” theory of fictional universes: every fan has their own mental version. Maybe this is an affliction unique to writers, but whenever a story I’m attached to starts going in a direction I don’t like, I simply shift over to my own imagined narrative. Chewbacca gets a planet dropped on him? Rubbish, I’ll re-write that. Han and Leia’s sons kill each other? Nope, that doesn’t meet my standards for a happy ending. Hey, it’s all made-up anyway, so what makes my private adaptation any less legitimate than the invention of other spinoff authors? The creation of a parallel “Disneyverse” legitimizes my long-held commitment to dreaming up alternative storylines.